Proper attic ventilation plays a key role in the life of your new roof. A certified roofer will calculate the proper amount of ventilation needed to ventilate your attic space. 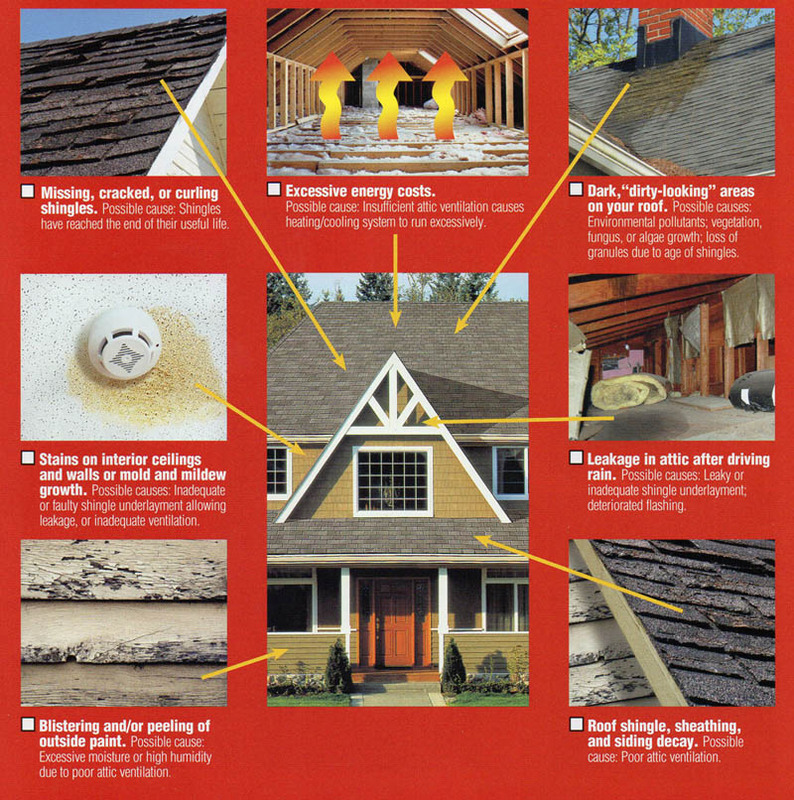 An improperly ventilated attic/roof can result in several problems including mold, increased heating and cooling costs, ice dams, and possible voiding of the mfg. warranty on your new roof. Many problems with your existing roof start on the inside of your home and are most likely attributed to poor insulation and attic ventilation. The best way to deal with this is to have an expert evaluate all the components of the building envelope. A knowledgeable contractor will evaluate your soffit vents, rafter vents, insulation, attic fans/bath fans, ridge vents, and gable vents. For a free evaluation, please call 603-880-9988.